Ask a question about 11716 River Shores Trl, or schedule a tour. 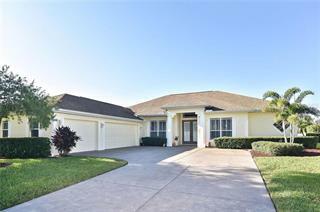 This single family home located at 11716 River Shores Trl, Parrish, FL 34219 is currently listed for sale by Coldwell Banker Res R E, with an asking price of $1,472,000. 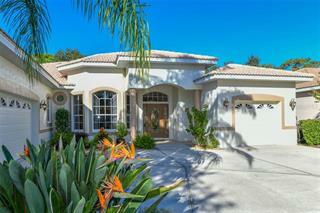 The property was built in 2008 and has 4 bedrooms and 5 baths with 4,363 sq. 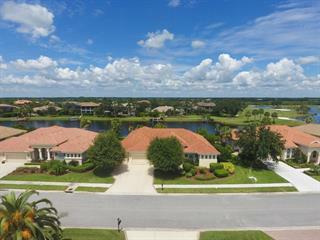 ft. River Shores Trail is located in the The Islands on the Manatee River neighborhood of the Parrish area. Search all Parrish real estate on MichaelSaunders.com today. 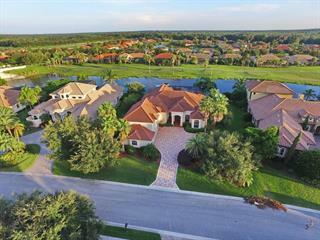 Hidden gem on a Private Nature Preserve with 2 lakes in Islands on the Manatee River, a boating and championship golf & tennis community. This custom Arthur Rutenberg home offers a combination of features from 4 of his best models, des... more.igned all on one level for elegant indoor/outdoor entertaining with summer kitchen, wood burning fireplace, covered and uncovered seating areas and pocket sliders out to an extended lanai, glamorous pool & spa with fountains, Pebble Tec deck w/ water jets, 3’ sheer-descent waterfalls and specialty LED lighting.The interior selections have been chosen with the utmost care and are top-of-the-line. Wood-Mode cabinetry and Pella windows throughout, 10’ impact glass sliders for extra hurricane protection, custom 8’ solid-core doors, 19” imported tumbled stone floor & wood sash molding are just some examples of the fine details.The office features a wood-inlay ceiling in the elevated conversation area, built-in shelves with custom lighting and hand-scraped wood floor.The split plan ensures privacy with a generous master wing featuring a large private sitting room retreat with custom built-ins, wine refrigerator and sink, his/her walk-in closets, spa-bath w/ oversized Jacuzzi tub & bidet, and direct access to the lanai and pool. The additional 4 en-suite bedrooms were built with equal consideration to touches and finishes. The home also has an oversize three-plus car garage. 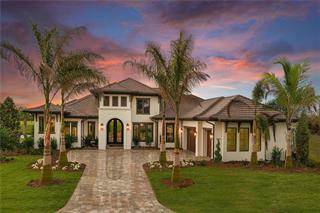 Guard gated entrance, a beautiful new clubhouse and the new Ft Hammer bridge adds to the community appeal.